What if the breath was a pathway to choose joy? 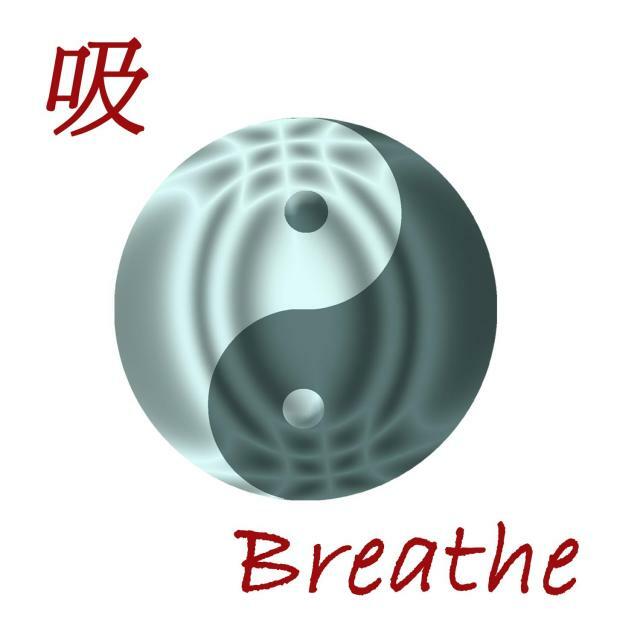 There is a very old Chinese saying that says, “One who half breathes, half lives.” When you are feeling fatigue, lethargy, slight depression, or inability to focus have you ever just done a Breath Check? You may find that your breathing has some restrictions. The good news is that you can chose to change that in any moment! Shallow, upper chest, or restricted breathing represents so many things. 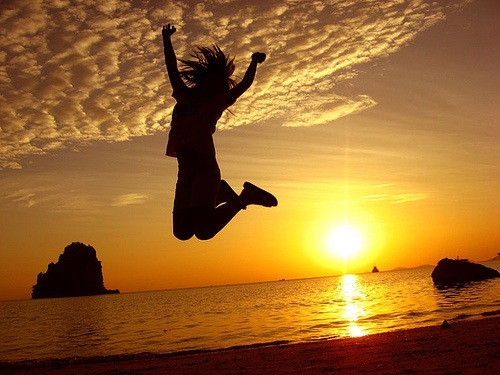 It is a pattern in alignment with restriction, limitation, and shutting down on life – YOUR LIFE! Have you ever held your nose and tried to taste something? Or maybe you did that when you were young and your parents wanted you to eat something that you didn’t want to eat…so you held your nose and ate it….because you couldn’t taste it right?! Shutting down on the breath shuts down more than just the breath. It obviously impacts your health and aliveness, but it also shuts down your joy and pleasure of living, being in the moment, your creativity, and your ability to “taste life”. Here is a simple video that gives you a tool to shift what I call “low life breathing” into “breathing in creative joy”. Use it often! Did you know that from birth at the first breath, you take approximately 7,000 breaths each day which over a lifetime totals about 500 million breaths. In your final moments you exhale for the last time and the breath defines that moment. What will we do with these approximately 500 million opportunities in a lifetime to live our life fully? 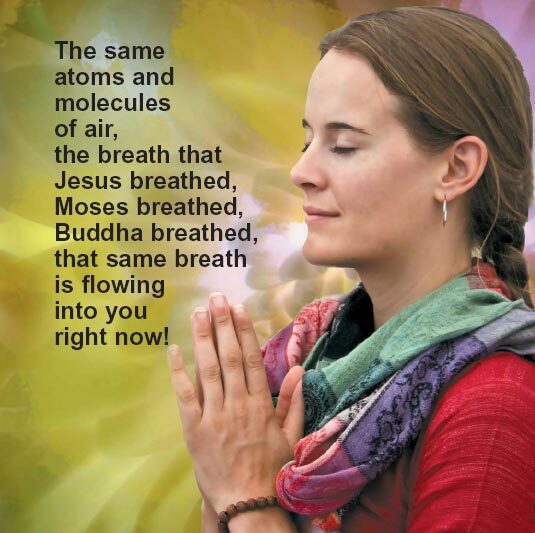 We all are breathing in some fashion, even when we are not aware of our breath, but the normal patterns of breathing are usually shallow, restricted and contain many holding patterns. These reflect deep imbalances in our systems. When our breathing patterns are weak, we may have low energy and find ourselves easily fatigued and more emotionally stressed. When our breathing patterns are deep and strong, we have increased endurance, stamina, and a sense of well being. Sometimes we can have difficulty with our breathing because of physiological processes that we have set in motion by the way we have treated our bodies over the years, or we can have emotional holding patterns that literally have us “stop breathing” or “hold our breath”. Sometimes it is both of these things intimately connected that contribute to our not breathing – not living – as fully as we are meant to. Last week I came in contact with a woman who has been a smoker in her life. She arrived at our clinic with a fairly severe upper respiratory challenge. There is a special machine called an oximeter that measures the amount of oxygen traveling throughout the system in any given moment. Normally people will record between 97-100%. This woman was at 84% – way below the accepted level for a healthy system. Her acute symptoms were addressed at this visit, yet there was an underlying process that was going on within her. She was terrified that she might die the same way her adult son had just a year before from the new strain of flu going around – in his case causing bronchial pneumonia. She was still in grief around that death. At her next visit this week she remained with low oxygen saturation levels and even after a test walk to get her coughing to bring this level back up, as had happened last week, her levels did not come back up. Instructed to put oxygen on her, I was readying the mask and tank with my back to her – and then I turned around. The fear that was in her face and body hit me strongly from across the room. Putting the mask down I walked over to her, put my hands on her shoulders, looked in her eyes and said to her “relax into your breath”. In that moment of contact and connection I saw the fear lessen and she started relaxing her entire body while thinking the thoughts that she could breathe freely and easily. Being still connected to the oximetry machine we watched as her 02 levels steadily climbed to 92% – an acceptable level to allow her to leave the office without oxygen according to protocol. We talked about “biofeedback” and the power each of us has to shift our biological processes by our direct attention and focus. For her it was enough to shift out of the pattern and is a powerful beginning to her opening to her life force if she so chooses. Yes, this woman has diminished her lung capacity by her history of smoking and may even have emphysema. But, she also has a very strong emotional response to her breathing challenges and in fact said to me that the stresses in her life had her “not breathing”, or in some instances “not wanting to breathe”. What a gift for her to know that if she choses to live fully that she has the power to change her patterns of breathing by relaxing into her breath – into her life – and finding more ease where before there was none or very little. This may be an on going challenge for her, but I believe in the power of the human body to regenerate, rebuild, and redirect into the harmony of balanced health that is the human bodies built in blueprint and directive. As Donna Farhi says in the quote above – take a look at how we approach and live our lives, and how we react to the inevitable changes that life brings. Watch your breath…. it is a wise teacher. The human body is an amazing miracle of sacred engineering! How else could you explain the subtle and intricate network of interconnections that make up this physical body of ours. There had to be a Master Creator at work on this particular project! Yet we go around day after day taking our body for granted and not realizing that the feet, or foundation upon which we walk…and our dexterous hands that are literally miraculous in all of the feats (no pun intended) that they have mastered – are gateways to opening and expanding our breath….. our lives. A friend of mine in Ireland writes that we are Infinite Beings in Finite Bodies…yet it is here in the body – right at our disposal – that we have the ability to open up our breath and the multitude of energy networks that make up this “finite” body of ours. Sometimes I like to think that our energetic bodies expand out forever connecting with others in unseen – but felt – connection. Perhaps this is not what we can see with our eyes, but this quantum connection is our relationship to the Divine in all of us. 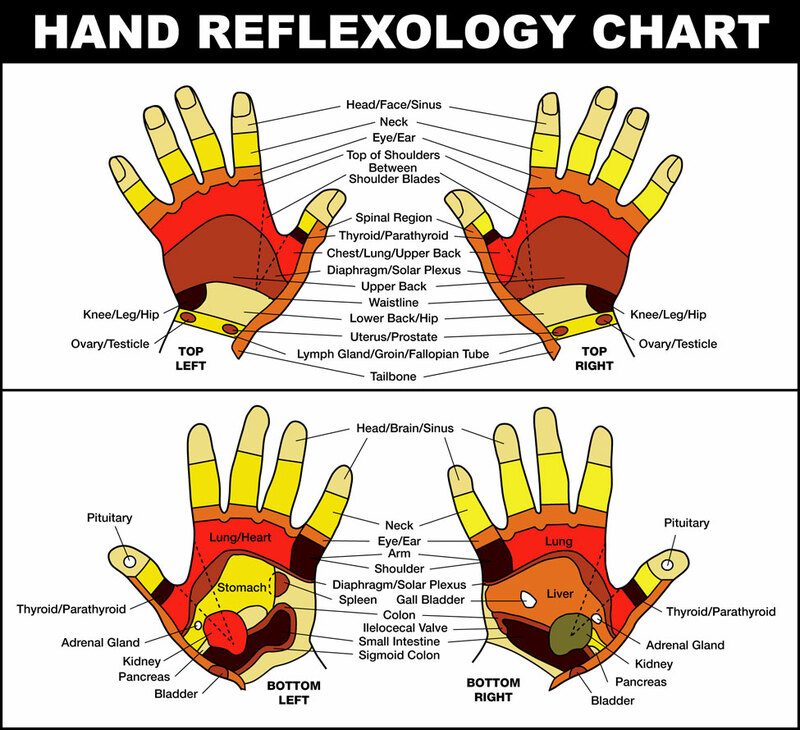 Having practiced energy work for many years I have always been fascinated with reflex, acupressure, acupuncture, or energy points in the body. 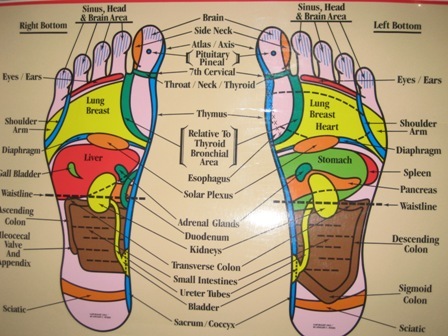 For your pleasure this week I invite you to play with your hands and feet when you take breaks throughout your day…or even better yet, start or end your day with a little massage on the lung and diaphragm points shown on the charts below. Feel particularly adventuresome? Then explore other parts as well! You can click on the picture for larger views. There are so many ways that we can consider the breath as sacred. The fact that all living things breathe in some manner – perhaps not with lungs – creates a very intricate network of interconnection. Our last post quoting Richard Cawte reminds us that this sacred breath is shared, and connects all in an intimate embrace…one which we receive with every inhale and exhale. As we breathe more fully we enliven every living thing. We are meant to thrive and to create. Indigenous people globally accept the sacredness of the breath and the interconnection with the natural world. Some traditions, such as yoga, tai chi, and qi gong have studied it for 1,000’s of years, and in fact have created a science of breath. In the Native American Medicine tradition “Divine Breath” is a noun. 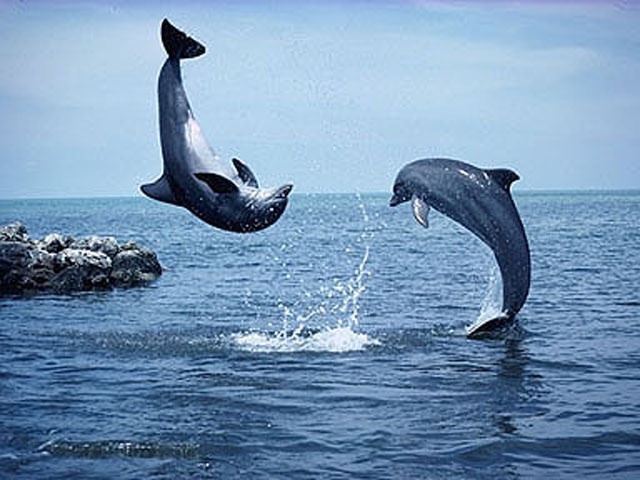 It means the manifestation of the divine spirit in all living beings. It is also called “life breath”. The name given it is “ni” or “nilch’i”. As you listen to this short piece of Native American flute music by Darrel Whitewolf give yourself some moments to feel the sacred breath of the wind moving over the Earth and inside of you. Our life outside of the protection of the womb is defined by the breath. 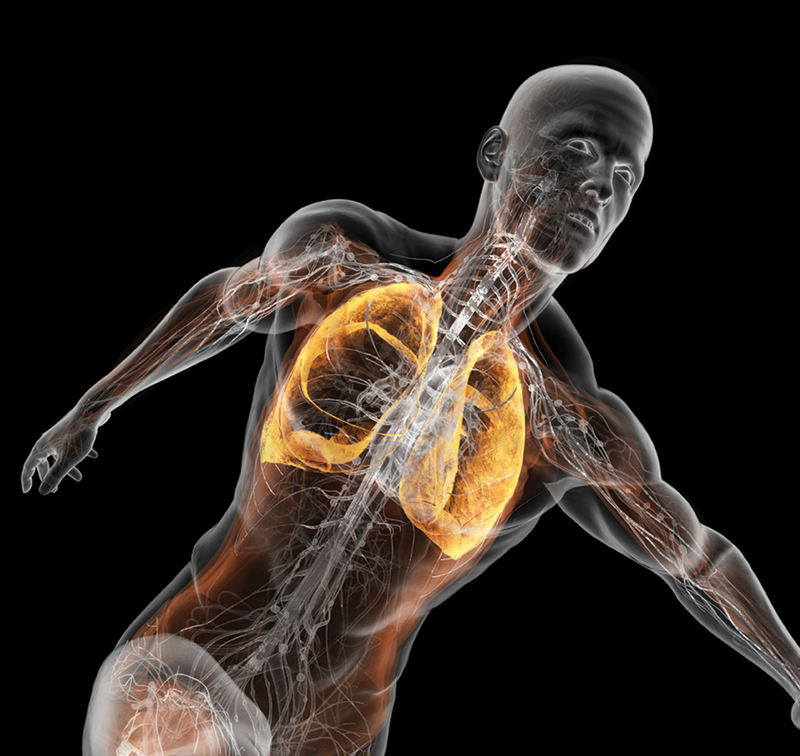 When we first enter the outside world our lungs fill with breath and is most often expressed with the sound – sometimes very loudly – of our voice. When we leave this life the last thing that is heard is our final breath. How could something that is with us our entire lives not be the sacred ground of all being. Our lives are defined by each inhale and each exhale….the pauses being the opportunity for rest and stillness – to feel the sacred ground of our being. Beginning our day with the intention on deeply breathing, even for a few moments…and ending our day with the same attention to the breath…reminds us of who we are. Deep Gratitude to those above that have inspired me this week.